"With grip exercises being such an important part of any baseball player's strength program, Grip4orce handles can be used in every exercise in our strength program, challenging our player's grip strength, giving Cincinnati Reds players the competitive edge they need on the baseball field." "These things are great! I can see tons of applications for athletes. Athletic movements where grip and forearm strength are factors in performance will be greatly enhanced by consistent use of the Grip 4orce grips during training.  It's a can't miss for athletes looking to increase forearm and grip strength." "Grip strength is critical in being the best fighter I can be. I want my opponent to have that "oh no" moment when I grab them and they feel how strong I am. Grip4orce has taken my grip strength to a whole new level. Now no one can get away!" "The Trojans have found a new and more efficient way to train grip strength. We have incorporated Grip4orce with many of our auxiliary movements and the studentathletes, as well as our strength staff, are very impressed with how quickly Grip4orce develops the forearms. 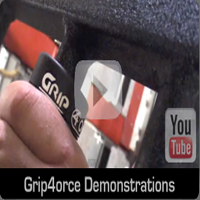 Grip4orce is extremely versatile and easy to use. With the time saved from not having to perform dedicated grip exercises we can spend more time on other aspects of our speed and strength program." AARON AUSMUS HEAD STRENGTH COACH USC TROJANS"
"The Grip4orce remains the only product to ever receive a perfect 100 from me. It's cheap, portable, easy to use, and, most of all, IT WORKS. Want to get stronger? Get Grip4orce." "After realizing just how big of an impact the G4 handles were having on my thumb strength, I have begun including them in my workouts every single week. I have found that using the Grip4orce handles with normal Dumbbell Bicep Curls hits the grip extremely well. Since using them, I have seen improvement in my Grippers, Pinch, and Open Hand grip strength, so they are going to remain a major part of my training." Resistance against unwanted motion creating strength in the wrist. Holding on to objects or opponents for long periods of time. Never again will your hands or arms get weak late in the game. Using the fingers and thumbs to lift an object without the palm touching. Allowing you to squeeze with maximum force. Creating hand strength with minimum reaction time.  © 2012 Grip4orce, inc. All rights reserved.